It's not a lot, but it's something. Something at least for now. Rather like the Monty Python and the Holy Grail character, Caterham yesterday exclaimed that - despite wider assumptions - it isn't quite dead. Not yet anyway. As the team that (along with Marussia) has missed the last two rounds amid financial woes and administration and that many expected never to see again will indeed be present in the forthcoming Abu Dhabi Grand Prix, thanks in large part to money raised via a 'crowdfunding' scheme. The scheme was announced at the start of last weekend and its target was to drum up was £2.35m to get the squad to the season-closing Yas Marina race meeting. And while at the point yesterday that Caterham declared itself alive and kicking again only around 80% of it was raised (just over £1.9m), that level in itself helped apparently by a few sizeable contributions late on, reportedly too some sponsors have been found to make up the shortfall. At the same time the deadline for the scheme, originally the end of yesterday, was moved to nine days hence; something I'm told is above board. Perhaps all surmised that there was no harm in keeping it open. If you need brought up to speed as to what 'crowdfunding' is, well it's quite the new big thing in our age of the online community. It's a means of raising funds for projects that (presumably) would struggle to be funded otherwise - ordinarily those starting-from-scratch - via an accumulation of voluntary pledges of cash from individuals. The pledges of course can vary in size, right from pocket change to fairly vast sums. Often too the pledge is in return for a 'reward', perhaps some kind of name credit or something more tangible (though apparently equity and credit crowdfunding exists out there too). And so it is with Caterham, except with crucial, glaring, differences. 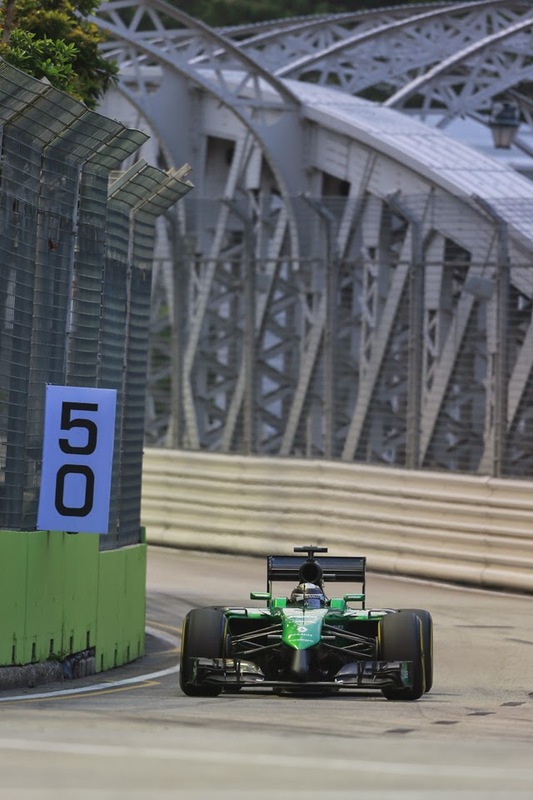 Caterham is not a start-up but an existing F1 team. Also it is one operating in a business that at the topline level is awash with obscene amounts of money. And that it should be resorting to a revenue source more commonly associated with independent film projects, getting small-time inventions onto the market and the like seems merely the latest example of how current F1 has entered the realms of the absurd. But we knew that anyway. The rewards are there too in this Caterham case, varying from badges and ear plugs (kid ye not) at the modest end via the likes of race overalls and dinner with an F1 driver (again kid ye not), all the way to hospitality tickets for the Abu Dhabi race at the extreme lavish end. Yours for £45,000 (once again, kid ye not). Although before it had tended to be drivers who were so funded I struggle to recall such a thing ever being done for an F1 team (though perhaps the point is moot - given the drivers' cash raised went straight to the team). You may recall it too being used recently to assist Project Brabham off the ground. 'As if F1 fans didn't already pay through their teeth for F1, Caterham now pins hopes on crowd funding of £2.3m to get it to Abu Dhabi' he said. 'Frankly I find the idea of asking fans to fund a team in order to give it a better chance of being sold off, distasteful in the extreme. Someone pointed out too that Crowdcube - the website on which Caterham's crowdfunding project is based - also just so happens to use the team's administrators, Smith & Williamson, for its accountancy and tax. I shared the cynicism in the early days after it was announced. But you know what? The more I consider the situation then more that I actually see this as a positive thing. Or at least something well worth doing in the extreme situation that all have found themselves in, certainly when balanced against the possible downsides. Of course and as intimated, at the broadest level there is no way that a sport that is thought to generate £1.8bn operating profit per year should be rattling a collecting tin around fans like this. Especially not for a sum that is a drop in the ocean in that context. And whatever is the case this should be strictly a one-off only. A long term solution involving altering the sport's warped financial distribution should be found; I wouldn't care to see F1 using the fans repeatedly as a cash cow. Not more than it does already at any stretch. But still we are where we are, and we can forgive administrator Finbarr O'Connell for exhausting every avenue. Particularly given the probability is that now this is very much the last throw. At the very least the F1 teams' revenue distribution is not destined to change within the next few weeks. A dodo flying past the Abu Dhabi pit would elicit less surprise. So what does happen? As even if the squad gets to the final race it's by no means the end. Perhaps not even the beginning of the end. Rather than the kiss of life this cash merely pays the latest electricity bill so that the life support machine can be left on a little longer. But we shouldn't write it off. If nothing else if the team does indeed get to Abu Dhabi and thus technically complete the season it gets its TV money, thought to be around the $11m mark. Which at least will buy the team time. 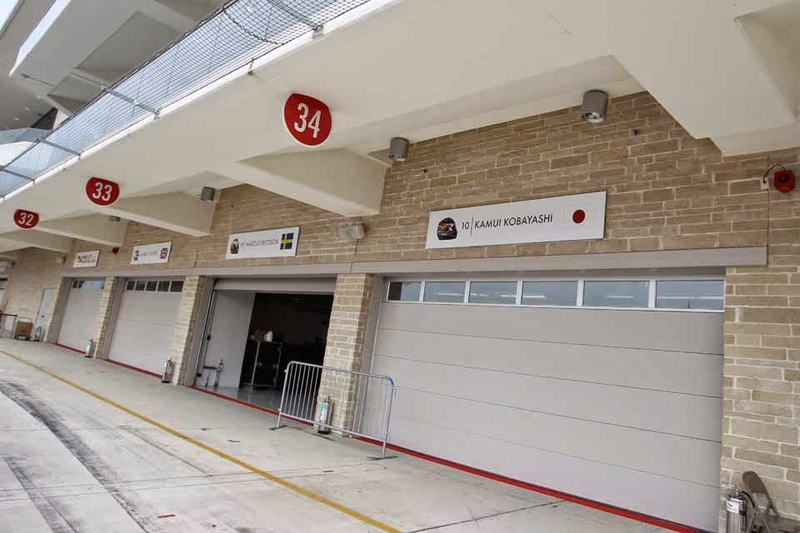 It also at least will pay a few creditors too, which is no small matter (I heard of a case of a Marussia supplier possibly having to sell their house due to unpaid bills from that team). And the Caterham team's list of creditors is a lengthy one. It also might - might - in a best case scenario make the concern more attractive to a potential buyer crawling from the woodwork to rescue the squad. At the very least the scheme is surely worth a go just in case. But this all relates to the greatest potential problem with this, and that which Buxton outlined, that you'd hope that those who did pledge did so with their eyes open. Even with all of the cash raised the team's not going to turn up to the Middle East with its problems solved and books balanced. In itself it will at best only knock off some of the outer edges of the manifestations of its woes. Perhaps though we're doing those people who've pledged a disservice, and to my knowledge no one connected to this fundraising venture has made explicit false claims about it. And it's the way usually of reward-based crowdfunding that you won't see your money again, so no duplicity there either. Some of the 'rewards' you'd struggle to get elsewhere too - and much of it would have gone to waste without this venture, or at the very least flogged off in a fire sale anyway. As outlined this is last chance saloon, so all methods of defence should be used. And the downside of this not working seems pretty small compared with the potential upside, even if that is a long shot. So in my view, despite initial reservations, and of course parking the broadest egregiousness of F1's financial distribution, I actually am coming round to the view that O'Connell deserves our support on this one.